I was not expecting much while sampling this beer. When you set your bar low, you will always succeed. That should be on a fortune cookie. Anyways: the Phoenix. It's a lager and smells as such: honey, grass and a little lettuce. There was good carbonation which made easy drinking of this relatively flavourless lager. Every sip was clean with straw, honey and a mildly spicy hop snap at the end. The ending was dry with only the slightest of hop linger. It is what it is, a very approachable lager. Everyone has their own thoughts about the origins of the Cascadian Dark Ale/Black IPA/American Style Black Ale. 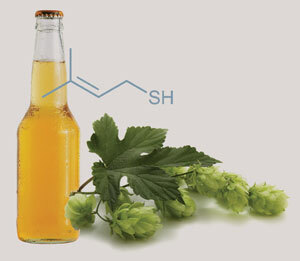 The following is the story I told the left4beer beer school class last month. All were polite and didn't disagree; perhaps they were worried that I would not share the epic selection of beer. The first appearance of the Black IPA is accredited to the Vermont Pub and Brewery with their Blackwatch IPA in 1994. Things really got rolling in 2003 at the Oregon Brewing Festival. This is when John Maier (Rogue) first released the Skull Splitter schwarzbier. In December of the following year, Phillips Brewing created the Black Toque India Dark Ale. The exact designation of the Cascadian Dark Ale is a bit of a mystery, but its thought that Matt Phillips first coined and really used the phrase. Until recently this was not an officially recognized beer style. In 2011, the Brewers Association added it to their beer style guidelines as the American Style Black Ale. Their guidelines are used to judge beers at the Great American Beer Festival and the World Beer Cup. At this moment there is not a BJCP beer style, but a proposed one is on facebook. To start off a night of Black IPAs, you gotta go with the Skookum. The nose is hop forward with pine, citrus but there is added roast and light chocolate. Pine vapours hit the palate first before the liquids arrive. Your tongue is washed with large doses of citrus and pine with malts that are lightly roasted with chocolate. In case you were curious the mouth feel, it was medium to full, like most Phillips beers. The next beer of the evening was canned. The Back in Black IPA is a perfect example of new ideas. A new beer style (Black IPA) and a newly rediscovered format, the aluminum can. Inside is a beer almost as black as the can. Overall it was very smooth with molasses, roasted pine and bitter dark chocolate flavours. The invention of the two piece aluminum beer can was attributed to the Adolph Coors company in 1959. Maybe I will save this history lesson for another posting. The beers just got better and better. Bump in the Night is a brewmasters reserve for 2011 by Full Sail. This was lighter than the rest but still had lots of flavours. Lots of roast, berries and slight honey on the rose. The taste was cool with menthol, bittersweet chocolate and hints of berries. At the end it was all dry cocoa and berries. The great looking bottle of the Succession by HUB was the next in line. This thing delivered a wallop of hop goodness. Pick any PNW hop flavour and it was there: pine, citrus, floral and even cotton candy. All this and an ample dose of roasted chocolate and espresso; what is not to love about this beer. An imposing gargoyle greeted us as we opened a bottle of Stone's Self-Righteous ale. The numbers on the side are massive: 90 IBUs and 8.7%ABV. We were not scared. Ouch, we should have been wary. The hops were very apparent and leaned towards the tropic fruit area with back up from citrus and cotton candy. This brew is teeming with flavours; all of them good. Nothing was left out: bittersweet chocolate, milk chocolate, berry esters, molasses, citrus and cotton candy. The Self-Righteous just tasted a lot bigger than the rest. Everyone had a great time sampling great beers that originated from our part of the world. Not sure about the next beer school. The Pilsner edition did not go well. Hopefully the 'All About Wheat' edition will do better in July. This brew appeared in Roger Protz's book "300 Beers to Try Before You Die". A heavily hopped IPA that spends 6 months in a cask before bottling; sign me up. The first thing you notice is the huge meringue-like head. Oddly there was little aroma that could escape through this fluffiness. Light caramel and loads of carbonation set the palate for a massive hop slap. They were more of the herbal, medicinal, mineral and resinous style. There was a long and thick tongue coating of mixed bitterness and fruity malts. If I remember correctly, this was one of the first limited editions put out by Russell Brewing. The canned stuff was unimpressive but the bombers were very good. The nose was heavy on the malt side, with loads of chocolate, caramel and slightly roasted malt aromas. A sweet alcohol warmth burned the tongue clean to enjoy the full malt tastes. Did I mention it was malty? Ample amounts of roasted caramel and off-sweet chocolate. This in an anti-hophead beer; the long linger was all sweetness with minimal bitterness. Most beer pricks, like myself, can describe the taste of a pale ale before the bottle is opened. Faint (but acceptable) nose of vegetal, floral and spicy hops with just enough caramel and bready malts to make you care. Yup, I called it. The mild, spicy and floral hops hit the tongue first with the caramel and bready malts taking up the rear. All this with a clean finish. This pale ale is OK, but not exciting. Props for nice bottles and inviting label. From now on all old beers will be speed reviews. I have 8 33beer books to go through and 2 beer schools to write up. Brevity is the name of the game. Yup, it's another dark ale. All the required flavours are present and accounted for: bitter chocolate malts, lightly roasted, caramel and no hops This brew is almost a stout but not quite; just a little thin and too effervescent. The light to medium mouthfeel made this a very drinkable can. Think of it as a gateway beer to the Dark Lord stout. I have no idea why this runaway 33beers thing is bugging me. You take notes, you write them up and you are done. The problem is that they are not getting written up. I sample between 2-3 new beers a week. If it is a Dave beer party, make that 11. Only one or two beers get written up a week; you do the math. For a goal orientated person, this is torture. So this is a wheat beer. Apparently it is spiced, which comes through in the slightly medicinal nose. It goes well with the wheat, scones, yeast and lemon/citrus normally associated with this style. The taste goes a little further. Yes there are lemons, tart yeasts, floral and spicy notes. What is nice is this little herbal blast at the end; almost like someone dropped a Ricola in you glass. Very refreshing. No preamble today, no education, just the facts. I actually might finish writing up a 33beers notebook soon. This is another Toronto special by Railway City Brewing. This has more flavour than one would expect from a blonde ale. The nose had quite a bit of toffee, fruit and was slightly spicy. There was DMS aroma also, but it worked. The creamy and slightly astringent mouthfeel was just like the nose. It only added a bit of chewy bread and subdued spiciness. The aftertaste was short but nicely spicy with caramel. From the describtion it is not really sounding like a blonde ale. Now this is an English standard brew. I can remember sipping this beer in a nook somewhere. The nose was surprisingly productive. Lots of toffee, fruits, toast and spicy hops. It had great balance between the toffee coated toast with citrus and peppery hops. A good bitter should be underwhelming and enjoyable; this describes the Spitfire perfectly. The golden ale is either a love or a loath. There is no where to hide off flavours. This brew had nothing to hide: white bready malts, honey, straw, grass and more citrus than one would expect. Each sip was a good palate cleanser; lots of carbonation got this job done. Extremely refreshing sips of honey, lemons and grass were not diminished by the slight vegetal body. Perhaps sitting on a patio made this beer taste better. This was a draft selection from Bar Volo. At first I was very excited about visiting this beer bar. The reviews from Toronto beer bloggers were praising. It only got better as I saw the person next to me jot in is notebook as he worked his way through a flight of beers. Every few minutes the barman would walk over to talk to him: this was my kinda place. I sat down, now it is my turn. Then everyone left and no service at all. I could have choked on a peanut (if there was one) and nobody would notice for hours. It was almost comical; none of the staff even looked at me. Finally I got a beer after waving my arms like a drowning sailor. But he never returned until I sent a semaphore message. Oddly he returned very quickly as I got up to leave. Lots of roast in this nose; maybe a little too much. Needless to say these was burnt vanilla and roasted coffee everywhere. This was a nice impy stout but not stellar. It had everything you wanted: wood notes, vanilla, bitter sweet chocolate and a malt that changed with every sip. But somehow it was just not doing it for me. Perhaps it was the unusual about of alcohol in the nose and taste. I still feel bad for chasing Brendan out of town. But this town was only big enough for one opinionated beer blogger, and my ego often swells to fill the room. As a treat after my Black IPA beer school, Lon from the Strath brought over a fresh bottle of La Trappe Tripel. This is the second Koningshoeven Trappist Ale you can get in Victoria; I have seen the quadrupel from time to time. Check out Cook Street Liquor for possible availability of the quad. Anyways back to the tripel. Apparently it will be on tap at Clive's Classic Lounge later this year. Other great tripels include the elusive Chimay white, Westmalle and La Fin Du Monde. Once you've tasted one tripel you have tasted them all; the difference is the execution. The nose is perfect: sweet with pit fruits, apricots, spicy yeast and grapenut cereal. A glorious and dry spiciness hits you first, then the malts are released. Sugared sultana raisins mix well with the slight caramel, yeast and bready malts. The ending is dry with peppery hops and spicy yeast leaving almost as much burn as the alcohol. It must be the yeast. You could unleash this yeast on barrel aged breast milk and make it taste good. Thanks to Shawn for the great floor show. Where else in town can you get a bottle of beer sabred?